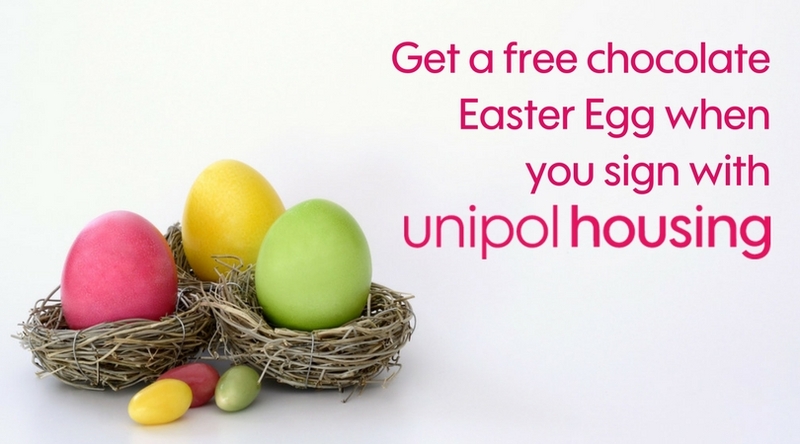 To celebrate Easter this year, we’re giving away a delicious chocolate Easter egg to anyone who signs for a student property with Unipol Housing between 19th and 23rd March 2018. We house students on a not for profit basis, offering the best deal we can to our tenants with no fees, hidden charges or guarantors. See what’s available by visiting our website, or just request a viewing and our friendly staff will help you to find your perfect student home.